Why is the discount coming out to more than it should be? 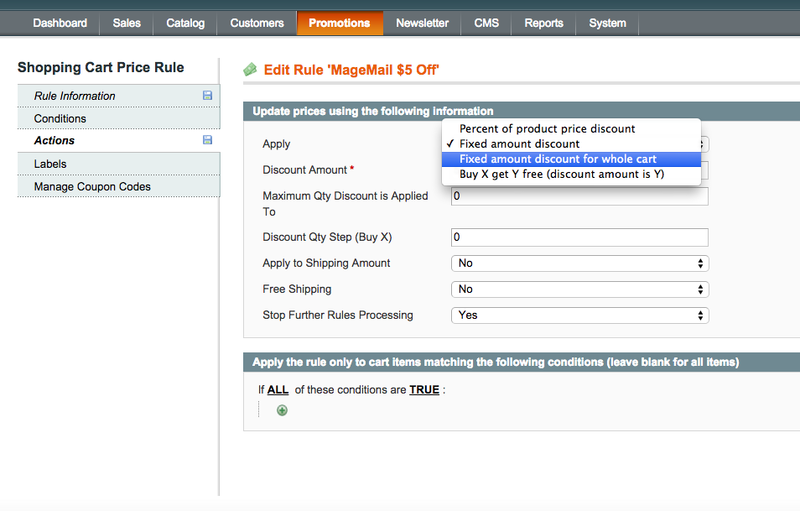 If you've setup a shopping cart price rule with a fixed amount discount (i.e. $5 off), one of the common mistakes that we've seen is using Fixed amount discount instead of Fixed amount discount for whole cart. The latter will apply that $5 per each item in the cart vs. for the cart as a whole.